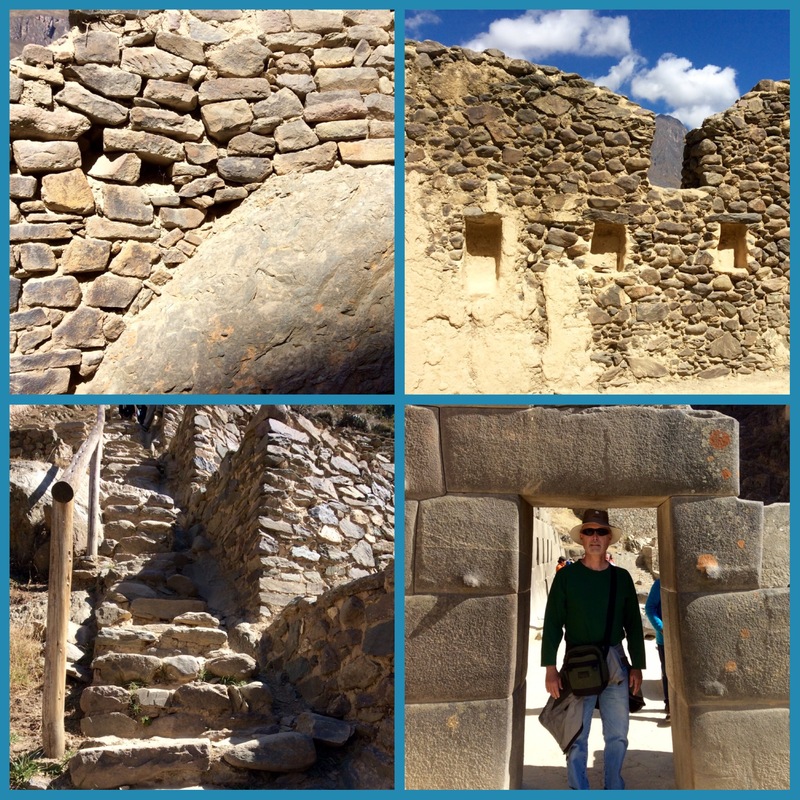 Ollantaytambo. It looks impossible to pronounce until you learn how. 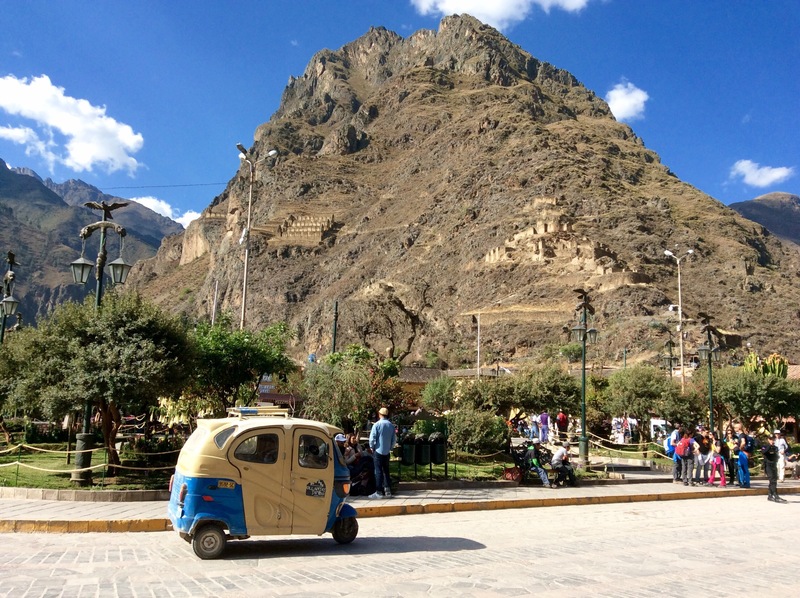 Ollantaytambo is a cute town and an Inca archaeological site in southern Peru 45 miles northwest of the city of Cusco. It is located at an altitude of 9,160 ft above sea level. 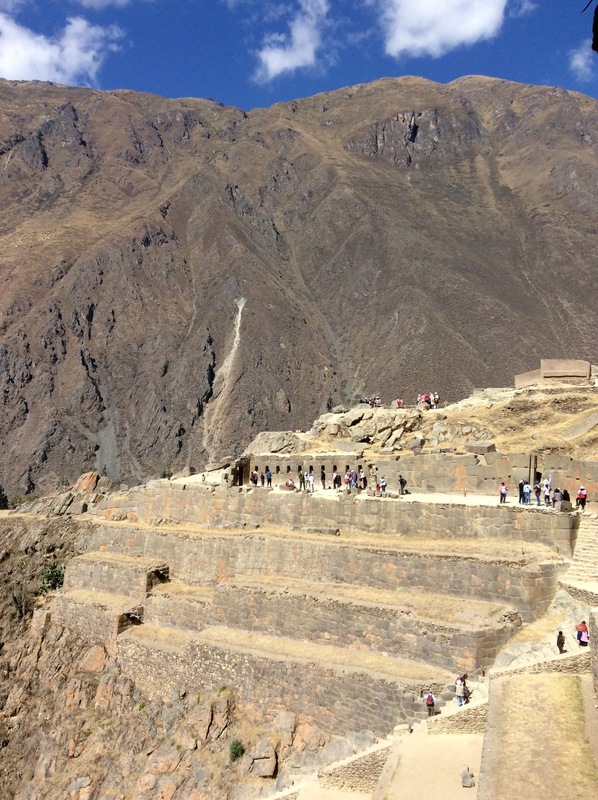 In the above photo note the remains of old Inca agricultural storehouses high on the hill overlooking Ollantaytambo. Their location at high altitudes, where there is more wind and lower temperatures, protected their contents against decay. Grain would be poured in the windows on the uphill side of each building, then emptied out through the downhill side window. 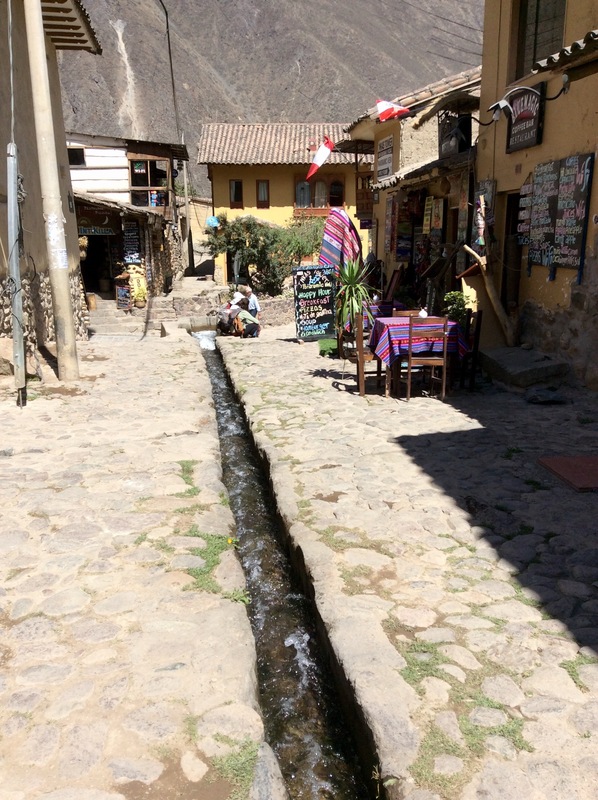 Water is continuously flowing in channels in the historic center’s lanes. 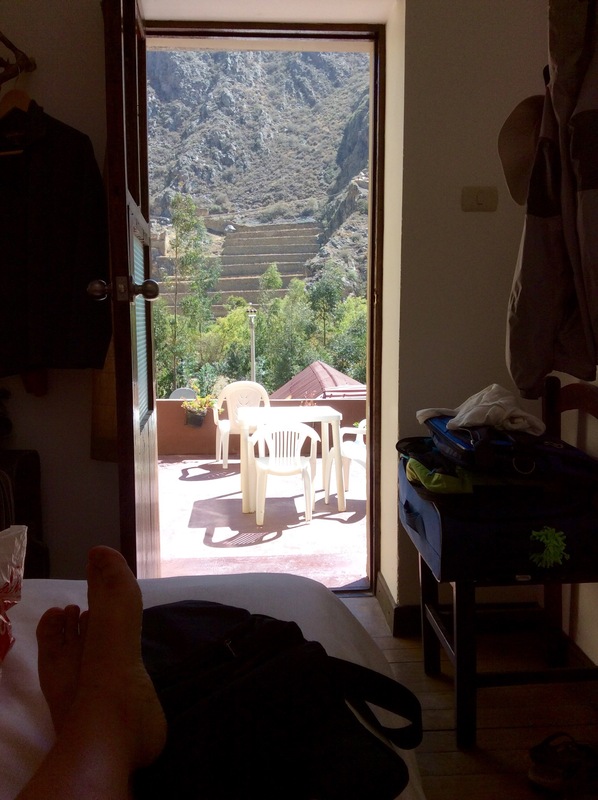 The Hostal Iskay in Ollantaytambo in the Sacred Valley was our base from which to visit Machu Picchu and to relax a bit after 2 weeks of travel. 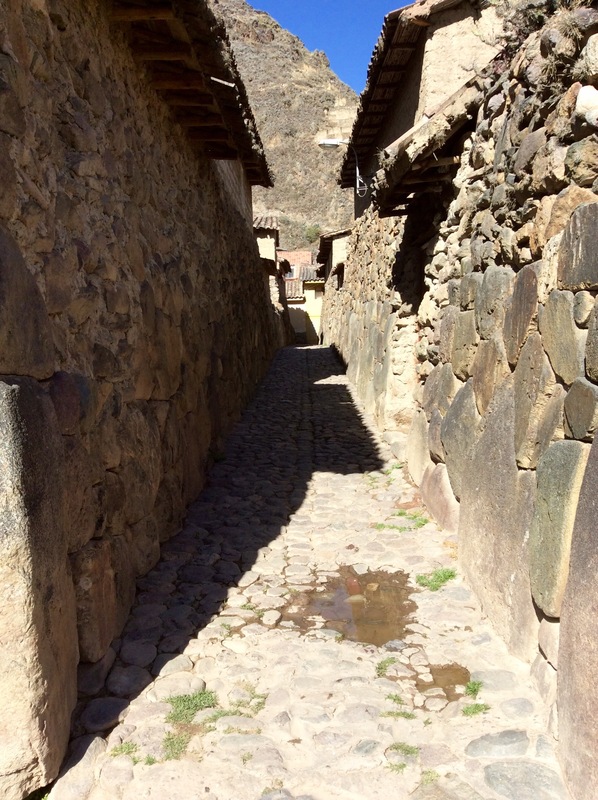 The historic center is small, rustic and very tranquil since there isn’t access to vehicular traffic! We took a day off to relax. Notice the view of the ruins from our bed at Hostal Iskay. 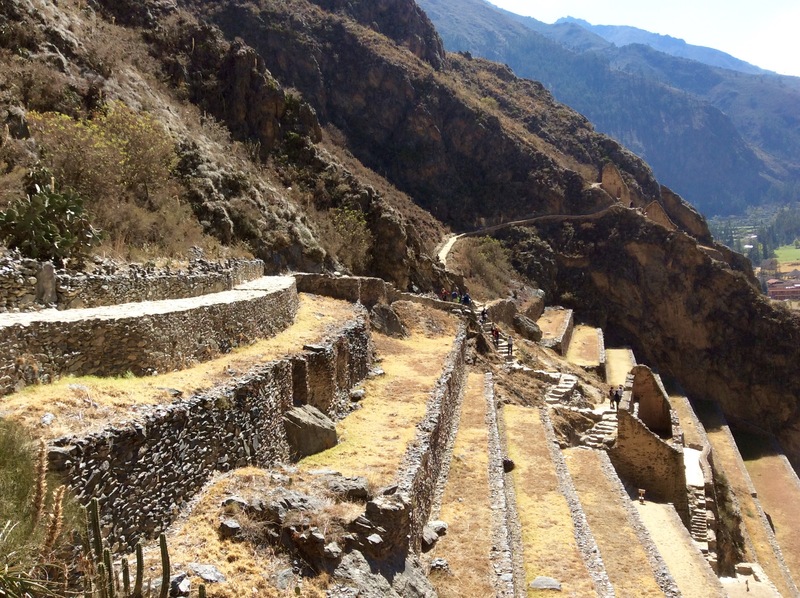 Around the mid-15th century, the Inca emperor Pachacuti (1438–1472) conquered and razed Ollantaytambo. 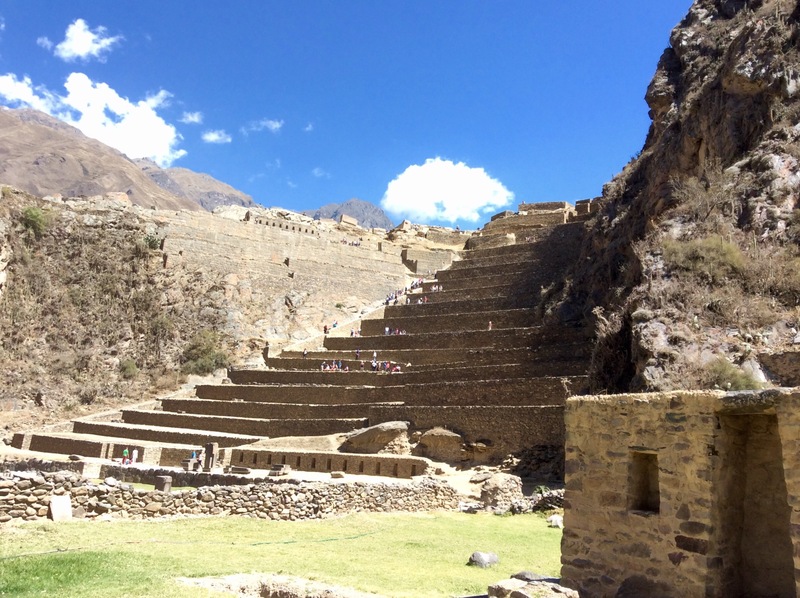 The emperor rebuilt the town for his sumptuous personal estate along with with extensive works of terracing and irrigation in the Urubamba Valley. 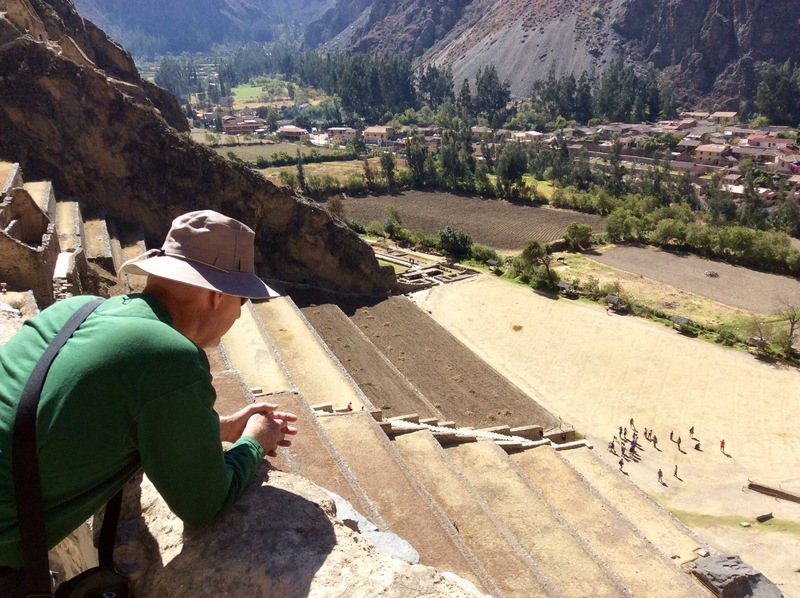 Above the farming terraces, the Incas built a ceremonial center on the hill facing the town. The main access to the ceremonial center is a series of stairways that climb to the top of the terrace complex. The land inside the terraces is protected from the wind by lateral walls which absorb solar radiation during the day and release it during the night creating a microclimate zone warmer than the ground above it. 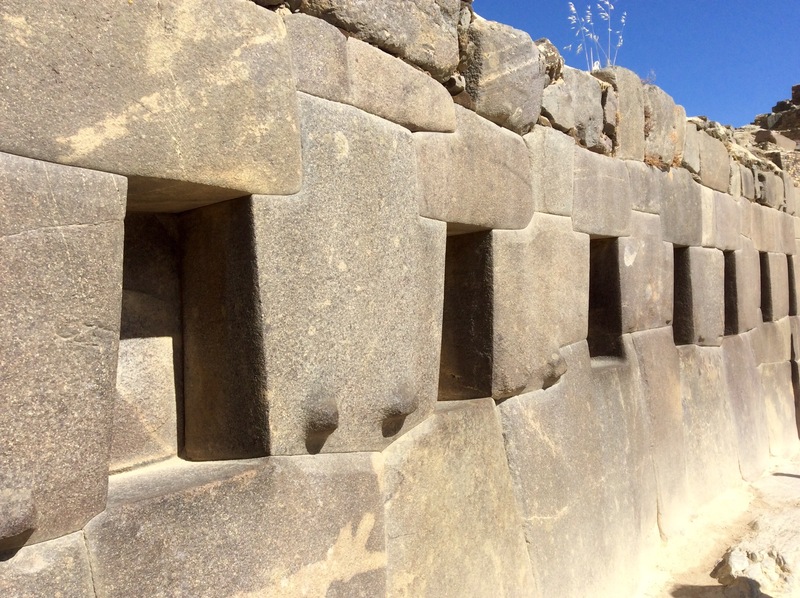 These conditions allowed the Incas to grow species of plants native to lower altitudes that otherwise could not have flourished at this site. 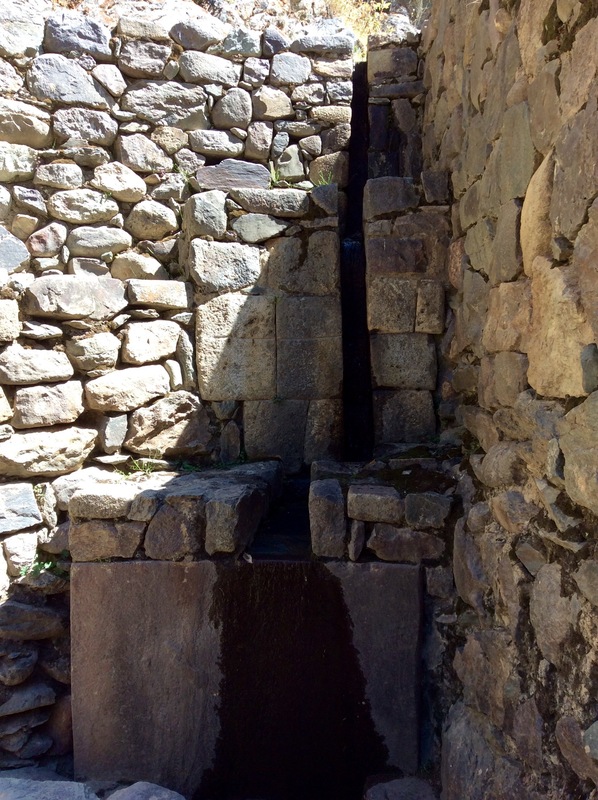 One sector is built out of cut and fitted stones in contrast to the other two sectors which are made out of fieldstones. A shortcut “floating” staircase built in the retaining walls to easily travel from terrace to terrace. There is a sophisticated irrigation system. The wall of 6 monoliths. The stonework is amazing. It’s mind boggling to consider how the huge stones are quarried and maneuvered up the steep hillsides, as well as the labor to construct and cultivate the terraces! I’m beginning to think we’ve seen a lot of rocks lately. 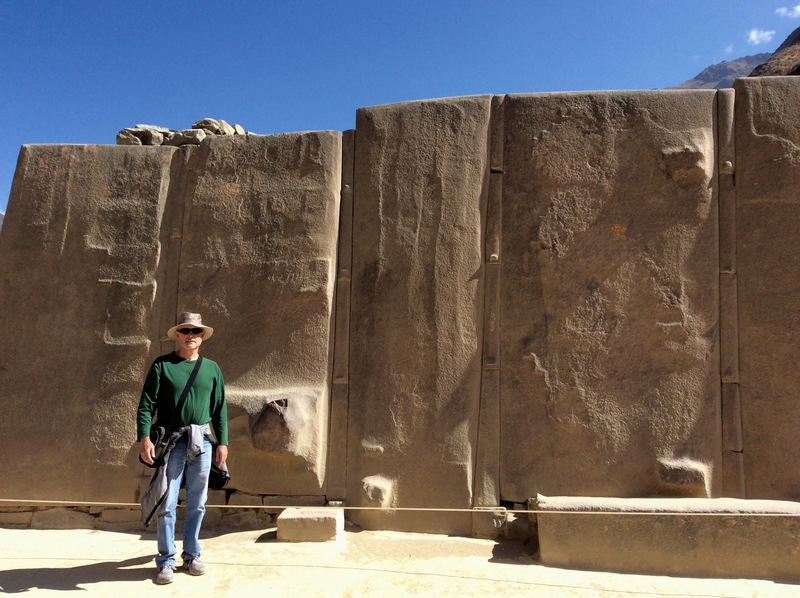 If you’re a regular reader of the blog you know that in the last few years we’ve seen lots of “old rocks” in Israel, Greece, Italy, Turkey, Ecuador and now Peru. I’m beginning to think we’re overdue for a tropical beach vacation! 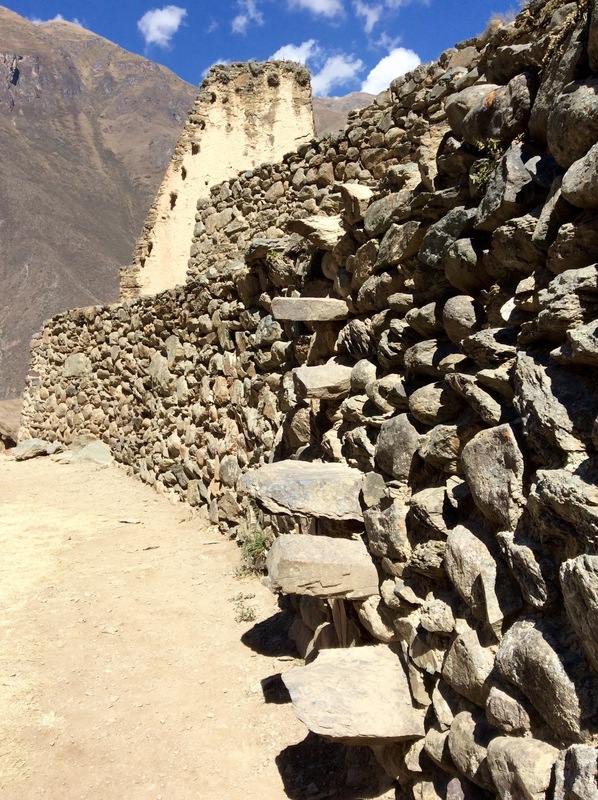 But we’re not done with Peru’s old rocks yet. Next time I Meet You in the Morning: The Citadel of Machu Picchu.